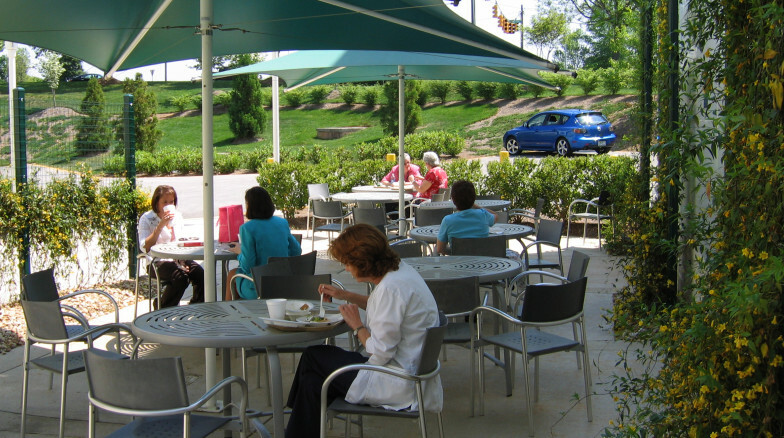 The dining terrace at the Women’s Pavilion at WakeMed Cary Hospital is an irregularly shaped courtyard, with curvilinear elements set against the rectilinear and angular form of the building. 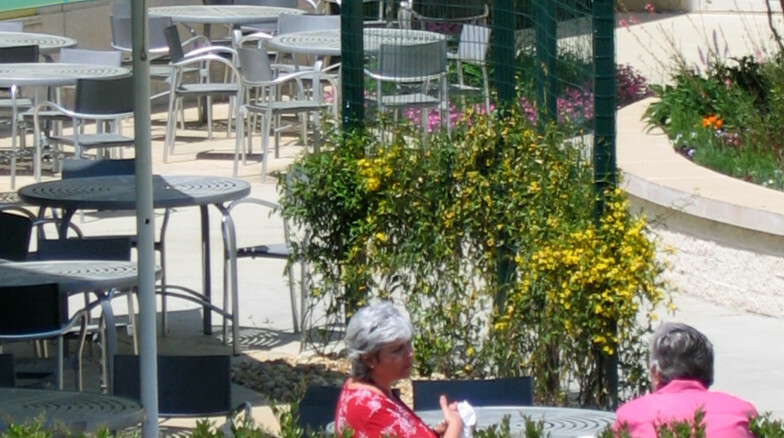 Cafe tables provide a space for gathering and outdoor dining. A curvilinear path of colored concrete bisects the courtyard, allowing pedestrian movement among the various seating areas as well as access for hand deliveries and light service vehicles. Ornamental trees, planter seatwalls, flower pots and vine trellises, provide scale and activate the space.